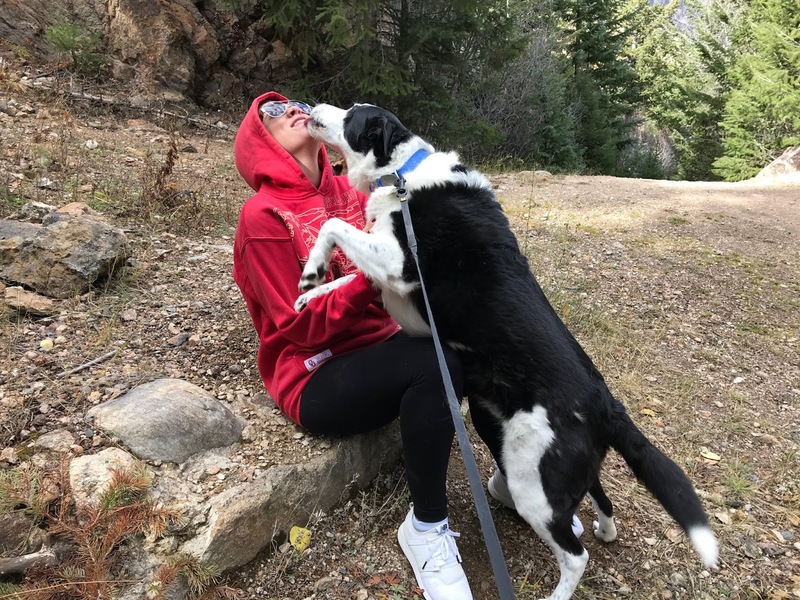 Elway has been to the mountain house before but Ralph has not so we decided to pack up and spend a part of last Saturday in Georgetown. On the way we had to stop at Matt’s office and Elway is waiting on his Daddy to come back. They are kinda good car riders, Ralph hangs out in the back like a good boy but the puppy is a whiner! LOL! It was so funny he settled down to nap as we were exiting our exit in Georgetown! We were going to take the boys on a walk thru town but it was really busy Saturday so Matt and I headed out for our usual stops while the boys hung at the house. I love it that places know us now and we get the local discount! The bakery knows me by name and it makes it more fun when stopping by to load up on sweets! 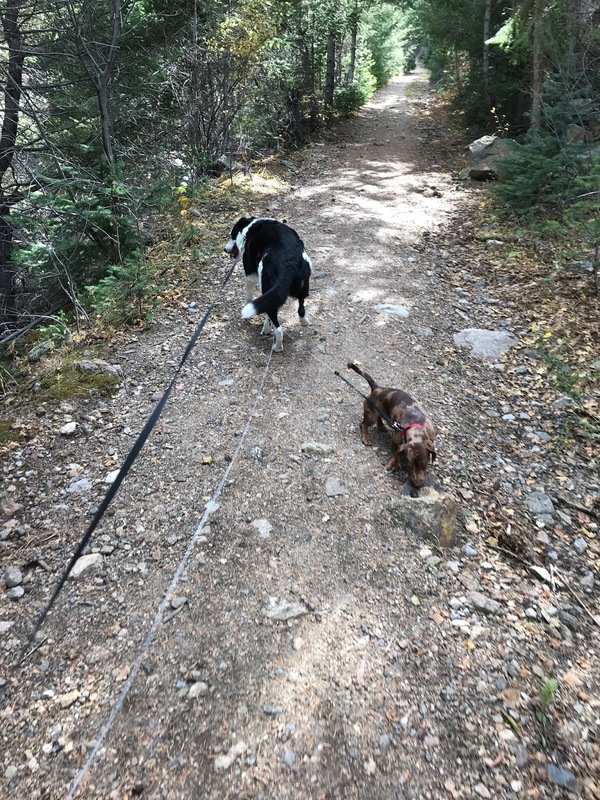 After lunch Matt and I decided to take the boys on a little hike and who would of guessed it… Elway is a mountain puppy! He always had to be right up front with Ralph and when I picked him up a few times he threw a fit! We got to this place we love, this bridge over the water so we took a break and let the boys relax and check things out! They loved it! When we got back Elway just makes himself at home, laying on the couch likes he owns the place! The boys were super good and it was a great first introduction to the mountain house! I could have taken an afternoon nap but Matt wanted to head home to watch the OU game! Our mountain puppies were pooped and slept really well that night!